He doesn’t look that bothered to be honest, would just rather be scoring world class goals. Actually, its the wrong headline. 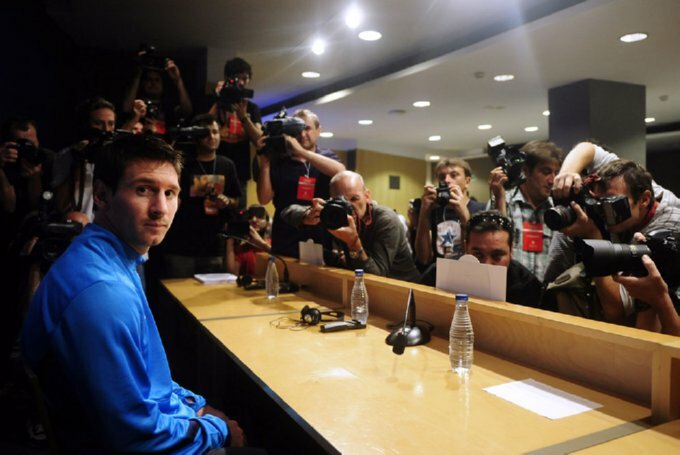 Little ball of sad is when Leo has to face the argentinian press after another mediocre and uninterested performance (i watched the Venezuela loss and he is not the same player) in the national team. The Barca press is fawning and never asks him any pointed questions but then again, his club performances are breathtaking. Messi will most likely quit the NT before he turns 30 because the pressure by fans and media back home is ratcheded up a notch with every disappointing game he plays.